Defiance's TV series premieres this Monday on Syfy! 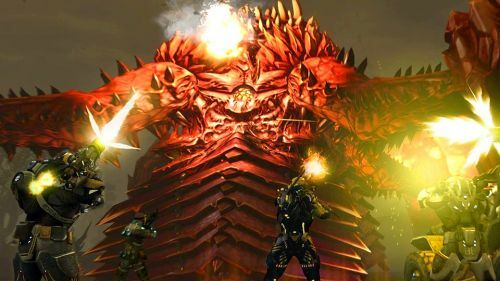 The developers over at Trion Worlds really want to make things right with their Defiance fanbase. After all the server trouble, log-in difficulty, patch load times, pre-order bonuses gone missing that have been occurring since launch, the developers want to reassure the community that they are working hard to satisfy them. That being said, Trion Worlds is granting players some exclusive bonuses that will go on for the next week when they go to play. Like in all relationships, it’s give and receive. We’ve asked a lot of you lately, going through some difficult times during our launch. While you’ve been very understanding and patient with us, we still feel we can do more. More than addressing the issues with servers, improving the client, deploying patches and preparing a long road of massive free (and paid) DLCs, more than evolving the future of Defiance with you. Trion Worlds: Thank you for keeping your players satisfaction first, all while trying to improve on your game! REMINDER: The Defiance TV on Syfy that is directly influenced by what happens within the game’s community will be airing on Monday at 9:00 P.M. EST; go check it out! Get a taste of what it’ll look like here.